Mark E. Schmidtke represents clients in ERISA and Non-ERISA employee benefits matters in state and federal courts throughout the United States for nearly 30 years. He has been lead or co-lead counsel in ERISA litigation matters pending in the courts of 49 states. He has argued appeals in the United States Courts of Appeals for the Second, Third, Fourth, Fifth, Sixth, Seventh, Eighth, Ninth, Tenth, and Eleventh Circuits, as well as the Massachusetts Supreme Judicial Court, the Minnesota Supreme Court, the Minnesota Court of Appeals, the Indiana Court of Appeals, and the California Court of Appeals. He has also authored several briefs and petitions at the United States Supreme Court, including amicus curiae briefs in important ERISA cases such asHardt v. Reliance Standard, Black & Decker v. Nord and Yates v. Hendon. Mr. Schmidtke serves as National ERISA Counsel for several large life, health and disability insurers, consulting with house counsel and outside counsel on litigation matters and advising house counsel and business clients on document drafting and policy issues. Mr. Schmidtke has also represented national and international companies in large class actions. He has written numerous books and articles on employee benefit-related issues and is a frequent speaker at national seminars. 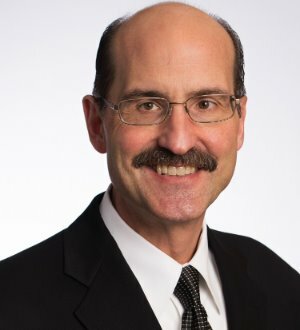 Mr. Schmidtke has been appointed to a three-year term on the U.S. Department of Labor Advisory Council on Welfare and Pension Benefit Plans for 2014-2016 and is serving as Vice Chair for 2015.